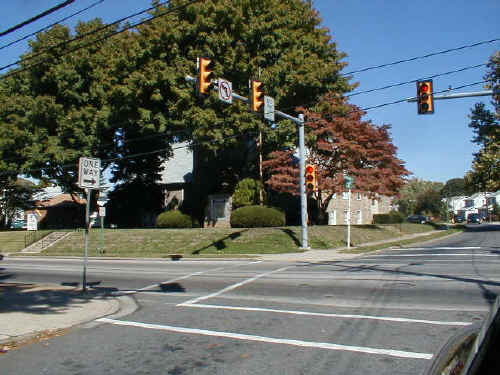 Dr. Eddy was instrumental in the founding of Feltonville United Methodist Church. "Amy is the youngest at 28 of three children -- her brother, Tim, 32, is a UMC pastor in Mt. Lebanon, PA, and a sister, Kelly, 37, is married to Jonathan, a Presbyterian minister. Her mother, Mary Grey, is a Methodist pastor at Murraysville, PA.
Amy enjoys singing, hiking, taking care of house plants, movies, travel, painting, cooking, and writing." The Philadelphia City Mission and Church Extension Society anticipating the growth and development of the community, secured the present site of our church July 2, 1918. At that time the war conditions prevented the immediate opening of the work, but on February 22nd, 1920, at a meeting in the Parkside School, called by Dr. George W. Henson, District Superintendent, Trustees, Stewards and Sunday School Superintendent were elected and the project was begun. 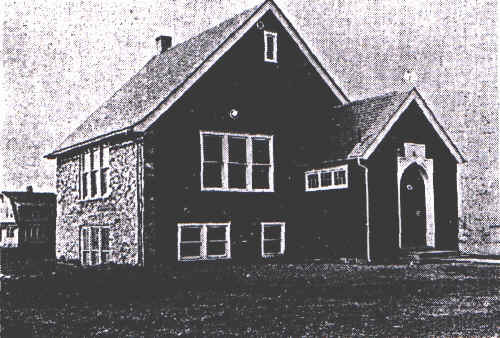 Services were held in the School House by visiting ministers until March 27, 1920, when Rev. Robert A. McIlvain came to direct the infant enterprise. The Sunday School, under the direction of Mr. Cameron C. McVey, increased in numbers and interest as did also the church under the faithful guidance of the Pastor. On July 11, 1920 - Rev. Paul D. Eddy became Pastor. It was he who effected an organization and began the construction of the church. On Thanksgiving Day 1920 - the Corner Stone was laid, with Rev. E. Guy Cutshall, Student Pastor of the University of Pennsylvania, officiating. The first public subscription was taken and pledges were received for the "Building and Equipment Fund" on December 5, 1920. $6000.00 had already been advanced by the Board of Home Missions and Church Extension from the Centenary Fund on condition an equal amount be raised locally. 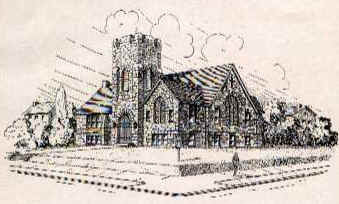 The last Sunday in February, 1921, marked the completion of the building and, at the request of Rev. Eddy, Rev. Robert A. McIlvain conducted the first service. The Dedicatory Services were held on March 13, 1921, with Dr. John C. Watchorn, Corresponding Secretary of the Philadelphia Mission and Church Extension Society, preaching the morning sermon and taking a second subscription. Dr. George W. Henson, District Superintendent, preached in the evening and officiated in the Dedication Ceremony. The little church was destined for disaster. Fire damaged both building and furniture on the afternoon of February 24, 1922. Heroic work was performed by pastor and church members as well as firemen at that time. The firemen cooperated further by offering the use of their building until the church was reconstructed. This was gratefully accepted. The congregation was able to return to the church home Palm Sunday, March 20, 1922. It having become necessary that the church provide a parsonage, No. 3 East Roland Road was rented, and two years later, February 19, 1924, the present parsonage at No. 22 West Chelten Road was purchased and furnished. The work of the newly organized Pastor's Aid Society was indispensable at this time. On November 26, 1922, Rev. William A. Ferguson conducted the service and the third subscription was taken. The development of the work during this foundation period was marked with a growing interest together with a splendid spirit of cooperation on the part of the people in the community. More was laid in these years than stone and mortar. Lives were molded by the principles of Jesus which were made familiar to them in such a wholesome way. Youth found a definite place in the church. Middle age and closing years were not forgotten. All worked together and although mistakes were made, great credit is due these founders, especially Rev. Paul D. Eddy, whose sheer personality held the situation firm through many a storm. In March 1924 - Rev. Michael Davis occupied the parsonage to remain for two years. These years were full and rich marked by a growth in membership in all organizations. Mrs. Davis took an active part in all phases of the work and it was through her that many new projects were completed by Young People and Pastor's Aid Society. A change was made in the financial system whereby each organization acquired a separate treasurer. The interest and cooperation of the community was greatly cherished and cultivated. Into an atmosphere of unrest, came Rev. Charles Weller in March, 1926. All kinds of plans were suggested for relieving the overcrowded condition but money was scarce. The church was already in debt. No one could see light financially. Fear for the future paralyzed all. Despite this atmosphere, however, during his short ministry, Rev. Weller endeared himself to the people. He was followed in March, 1927, by Rev. Clarence F. Kulp whose ministry lasted two years, and who was always emphasizing the spiritual side of life and wholeheartedly endeavoring to further plans for the new building. Again many plans were formulated and attempts begun but no definite step was taken. The life of the church continued but despite the efforts of Building Committees and church members things seemed in a deadlock. World wide depression was on its way. Everyone seemed unconsciously fearing it. No plunge was taken. 1930 in the teeth of the depression someone took the plunge and dared to break ground for a new building. Again a personality and a situation coincided and through Rev. B. C. Dahmes, who became pastor in March, 1930, $2500 was loaned by the Board of Home and Foreign Missions and a new edifice arose. It was dedicated March 29, 1931. Dr. Robert C. Welles, District Superintendent, spoke at the morning service and Bishop Ernest G. Richardson in the evening. For a year all were united in a common enterprise and all branches of church work grew. The Young People's Group was reorganized and with an active interest on the part of Mrs. Dahmes the Sunday School and Pastor's Aid Society prospered. The depression, however, became a reality and the debt an insurmountable problem. When in March, 1932, Rev. Richard H. Jones took up the pastorate, he found a certain unity, without which even with his personality and leadership, failure would have ensued. Despite all the difficulties Rev. and Mrs. Jones were able to build the church life up to a still higher level. The organizations showed a higher degree of efficiency and the leader sensing the strategic position of the church in the "Heart of Parkside" endeavored in every way to make the church a real power in the community life with a slogan that "Nothing but the best is good enough." In April of 1934 when Rev. Jones was appointed Alumni Secretary for Wyoming Seminary, Rev. Daniel F. Sands became pastor. During his pastorate and extending into that of his successor, there was experienced a period of depression and fear of the future which culminated in the Second World War. It was a real task in these years to hold the organizations steady and much credit is due Rev. and Mrs. Sands for the excellent work accomplished, especially with the youth. The need for less worry and more prayer was emphasized by the pastor and all during this period his admonition was "Seek ye first the kingdom of God and all these things shall be added unto you." A Brotherhood was organized and for the first time in its history the church had a Local Preacher in the person of Mrs. Sands. When Rev. James B. Pritchard, in March, 1936, assumed the leadership, it still seemed almost impossible to entirely meet the financial needs of the church but with the full cooperation of all organizations he was able to very successfully carry through a program which systematically reduced the debt substantially. In addition a pipe organ was installed in 1939 and a new altar, lectern and pulpit with appropriate furnishings in 1940. The Senior Choir and minister, together with the Junior Choir, which had been organized in 1936, became gowned, adding dignity and reverence to the worship service. In this same year another group known as the Married Couples' Group was formed. In 1941 the mortgage on the parsonage, which debt had largely been met by the Pastor's Aid Society, was "burned." The church social hall became a potential emergency station during the war and a number of the church members served in various capacities to be ready for any catastrophe. There existed a spiritual unity at this time which proved its necessity for accomplishment in other fields. The church became known as a "friendly" church due to the efforts and personality of both Mrs. and Mrs. Pritchard, and appealed to many, irrespective of denomination. Broadmindedness and understanding kept its doors open to all. In July of 1942 Rev. Pritchard left to occupy the chair of Old Testament History and Exegesis at Crozer Theological Seminary and Rev. Howard N. Reeves, Jr., assumed the duties of pastor. Much effort was expended on the organizations of the church and due to the brightened financial picture during this war period these problems all but vanished. Not only were the debts reduced in a large measure but ground adjacent to the church was purchased in view of building a parsonage there in the future. There being a great influx of strangers in the nearby industrial areas this opened a fertile field for pastoral work which was ably handled by the pastor and resulted in an increase in membership. Due to other war conditions many young people were lost to the work and all organizations suffered losses in leadership, which necessitated more responsibility be assumed by those available. It was not an easy task but the needs of the community were served as well as reaching those on foreign soil including our own youth in the national service. In March, 1945, Rev. Henry R. Bauers was appointed to Parkside; coming from Lancaster County. One of the first enterprises was a daily Vacation Bible School. The pastor was the power back of this 25th Anniversary which we are celebrating this week. Rev. Bauers is getting acquainted with his parish and looks forward to a busy fall and winter program. � 2000, 2001, 2005, 2007 John A. Bullock III.